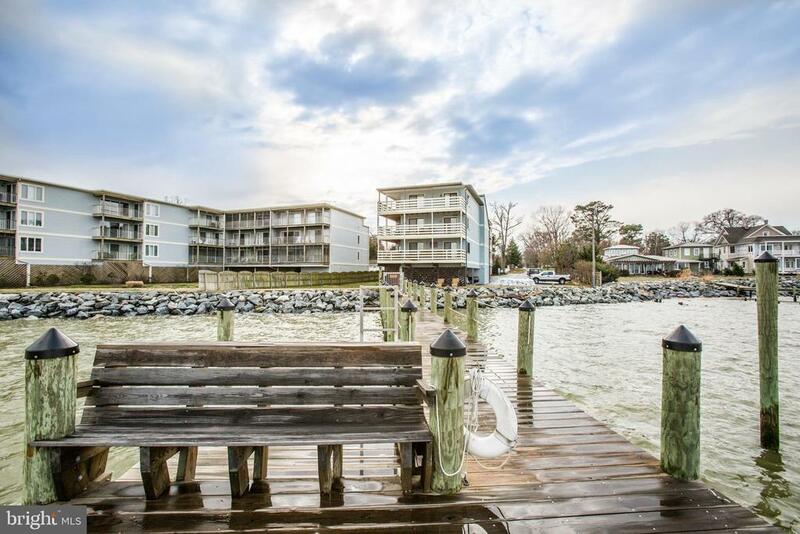 This beautiful condo sits right on the Potomac River within a private and secure complex! As a resident you will have access to a private pier, an in-ground pool, an assigned parking space, and a private shed for your extra storage. An open floor plan living space flows to a private covered balcony from which you can admire the views of the river while drinking your morning coffee or entertaining family and friends. With its warm sense of community, and only moments to shops and restaurants this home provides all the elements for relaxing, comfortable and easy-care beach living! Recent updates include ~~ Brazilian cherry hard wood floors, new appliances, new HVAC system, new plumbing, new water heater, remodeled kitchen and baths, new doors, and new light fixtures! Both sliding glass doors to deck have been replaced! Come see your new beach home!